Art is everywhere on Bellevue real estate. At the Bellevue Arts Museum stimulating exhibits open the mind to creativity and stir the heart. Current and upcoming exhibits are both engaging and thought provoking with a focus on art, craft and design. The museum’s story started with humble beginnings as a simple art fair in 1947. Now the doors open to spectacular representations from international, national and regional artists. Guests can not only observe the artwork but get hands on at imagination stations and with docent led tours. Art enthusiasts living in or near Bellevue real estate wanting to improve their talents love the hands on approach at the museum. Programs written on the calendar focus on all ages from children to adults. Adult workshops concentrate on specific techniques teaching elements necessary for advancement in the craft. Frequent artist talks give intimate insight to how projects came to fruition. Teens are normally enthusiastic about their hobbies and interests. The institution wants to encourage this enthusiasm with age appropriate events. The onsite Gage Teen Art Studio offers drop in classes teaching artistry tactics that correspond with current exhibits just for teenagers. But, little hands can make beautiful art too. On Get Crafty Saturdays youngsters aged four to ten engage in fun filled craft projects. 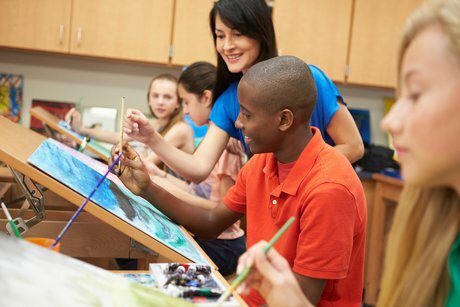 Annual summer camps blend artistic themes with modern techniques and friendly encouragement. Field trips to the museum are catered to ages 6-12 and grades 1-6, establishing the perfect forum to capture and maintain attention. Let inspiration take hold on Bellevue property at the Bellevue Arts Museum. Everyone is encouraged to go and Free First Fridays make it easy. Complimentary admission and extended hours on the first Friday of each month welcomes newcomers and frequent visitors to the museum. Special programming is planned for the day allowing folks to make the most of their visit. Spend a moment just enjoying the spectacular scenes inside or become motivated to create a unique masterpiece reflective of time well spent once home.